It is estimated that 32% of older people in the UK are affected by urinary incontinence. Although people of any age can be affected by incontinence, various evidence has shown that incontinence increases with age. The population of seniors is increasing; therefore, we can expect the burden of incontinence on seniors to also increase. Nursing home residents have incredibly high rates of incontinence, ranging from 60 to 78% in women and 45-72% in men. Although incontinence brings many physical challenges, the primary impact of incontinence is on quality of life. This includes self-esteem and confidence and an impact on mental health in general. However, despite the life-changing symptoms of incontinence, seniors are less likely to receive evidence-based care and are less likely to seek healthcare than younger people. Only around half of older people with incontinence seek help for their symptoms. Perhaps this is often due to the myth that incontinence is simply a normal part of ageing that should be accepted. It can be incredibly hard for many seniors to come to terms with having problems with incontinence. This is likely due to the association of incontinence being a childlike state. Older adults will have been toilet trained at a young age, and can find it difficult to come to terms with returning to an incontinent state. In a recent study, seniors reported feeling embarrassment at making frequent trips to the toilet, fear of odour, fear of appearing unclean, with men having a fear of being seen as “impotent”. In seniors, incontinence can cause significant morbidity and functional impairment. Incontinence in seniors has both physical and psychological consequences, including damage to skin, urinary tract infections, an increased risk of falls, avoidance of going far from home, and a feeling of alienation. 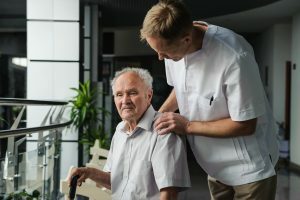 It is therefore important to have an understanding of the causes of senior incontinence, symptoms and treatment options for managing elderly incontinence. What Causes Incontinence in Elderly Individuals? Exploring the causes of incontinence in seniors means considering not only physical conditions but also cognitive ability. Incontinence in young people is almost always caused by alteration in the lower urinary tract and its innervation. In older people however, incontinence often represents complications with functional impairments, cognitive health and comorbidity. Studies in older people suggest that failure of activation in areas of the brain relating to continence, such as the orbitofrontal regions can reduce the ability to suppress urgency. The maintenance of continence is reliant on not only a functional lower urinary tract and pelvic floor, but also on sufficient cognition to interpret the desire to void and locate a toilet. Reaching a toilet in time requires adequate mobility and dexterity in an appropriate environment. Alzheimer’s Disease is a condition that can cause many physical difficulties and alter a person’s ability to maintain continent. Reasons for this can vary from failing to realise the need to visit a toilet to being unable to find where the bathroom is. Urinary incontinence often occurs first in people with Alzheimer’s, with faecal incontinence occurring after. Health researchers have been interested over the years in the changing, aging bladder. Changes that have been found to occur in the bladder include increased collagen content, changes to gap junctions and changes in the sensitivity of sensory afferents. It has also been found that seniors with Multiple Sclerosis are much more likely to develop incontinence than those who do not. Multiple Sclerosis is a condition that causes damage to the nerves that control the bladder. Other diseases that cause this are Diabetes and Parkinson’s Disease. Parkinson’s disease affects the brain, affecting the dopamine-producing cells that deal with signals controlling muscle movement. Diabetes, on the other hand, causes substantial damage to the peripheral, autonomic and cranial nerves. Nerve damage ultimately causes the bladder to lose the ability to sense when it is full. Additional risk factors for incontinence in seniors include impaired mobility, falls, medications, depression, transient ischemic attacks and stroke, Dementia, congestive heart failure, faecal incontinence, constipation and obesity. How should Senior Incontinence be managed? For seniors to have the best opportunities for treatment, is important for professionals to stop accepting incontinence as an inevitable part of ageing. If you or a senior close to you refuses to find treatment as they only have “mild” symptoms, you should convince them to seek help before the condition worsens. Doctors and Nurses currently recommend therapy initiated by a Urologist, which includes evening fluid restriction, evening diuretics and leg elevation throughout the day. 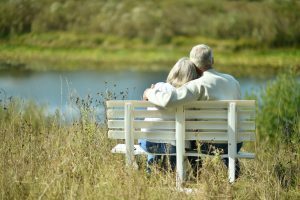 Behavioural therapy and environmental changes may decrease the magnitude of symptoms in seniors. Prompted voiding is often recommended for patients with poor cognition, where the patient is prompted to void at specific time intervals to train the bladder. 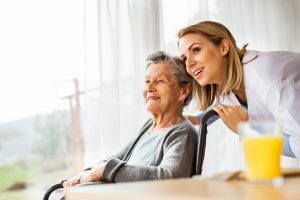 Frequent gentle exercise has been shown to be effective at reducing the burden of incontinence and there has been an increasing interest in multicomponent interventions in nursing home residents. Exercising is becoming increasingly popular as an intervention with evidence of improved overall well-being as well as improvement in continence. It is recommended that seniors try less invasive methods of surgery to treat incontinence. Mid-urethral sling procedures, such as the tension-free vaginal tape, are safe and effective in older women with incontinence, and can be performed under local anaesthetic, often as a day case procedure. The proportion of older women receiving mid-urethral slings is vastly increasing. The use of mid-urethral slings in incontinent men is a viable option for the treatment of post-prostatectomy incontinence. Between 50 and 80% of patients report improvement after trying urethral bulking agents. Techniques in development include the use of plasmid-loaded particles to encourage regrowth in functional urethra via the induction of basic fibroblast growth factor. An artificial sphincter for managing stress incontinence comprises a reservoir, urethral cuff and control pump, which requires manual dexterity and reasonable cognitive function to operate. A recent study found that intravesical botulinum toxin has been shown to be effective for elderly incontinence, and are associated with the reduced incidence of voiding impairment. Recent experiments also suggest that the adenosine A2A receptor may be a future treatment option for incontinence associated with Parkinson’s Disease. 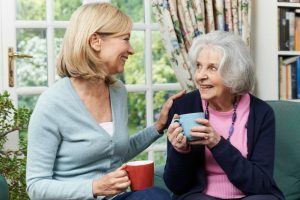 If you are an elderly incontinent individual or are taking care of a senior with incontinence, it is important to be educated on continence care. Firstly, ensure you are sorted with the correct incontinence products. If your you or another individual has light bladder leakage, a pad is the ideal option as it can fit discretely inside underwear. For individuals who are still mobile, protective pants are ideal for heavy urinary incontinence and bowel incontinence. If you or the person you are caring for is wheelchair or bedbound, all-in-one pads are ideal as they are highly absorbent and can be applied with the wearer lying down. If a senior is embarrassed or uncomfortable about their incontinence, you can help maintain their dignity and confidence through purchasing products online instead of in public stores. Another important aspect of creating an ideal environment is to ensure a toilet is easily within reach. As people get older, reflexes and movements can slow down, preventing them from getting to the bathroom in time. Ensure there are no obstacles in the way of the route to the toilet, and make sure it is clear which room is the bathroom. To help with frequent urination, you can set a reasonable bathroom schedule so voiding is more manageable. Finally, it is important to treat any incontinent senior with respect and never lose patients if any accidents occur. It is helpful to put yourself in their shoes and avoid talking to them in a patronising or degrading manner.